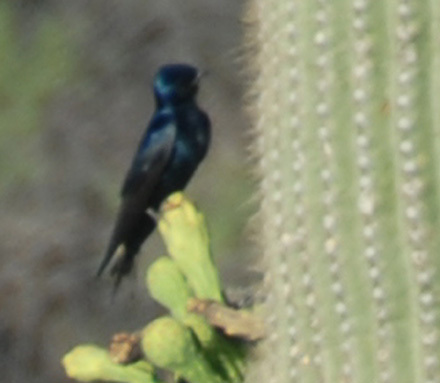 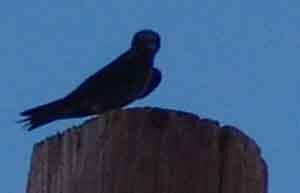 All of the images above are of the Purple Martin (Progne subis), the largest of North American Swallows. 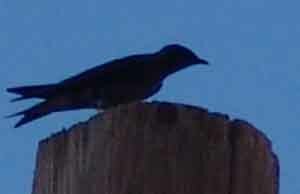 They are fairly common here, appearing in the summer and breeding in our area. 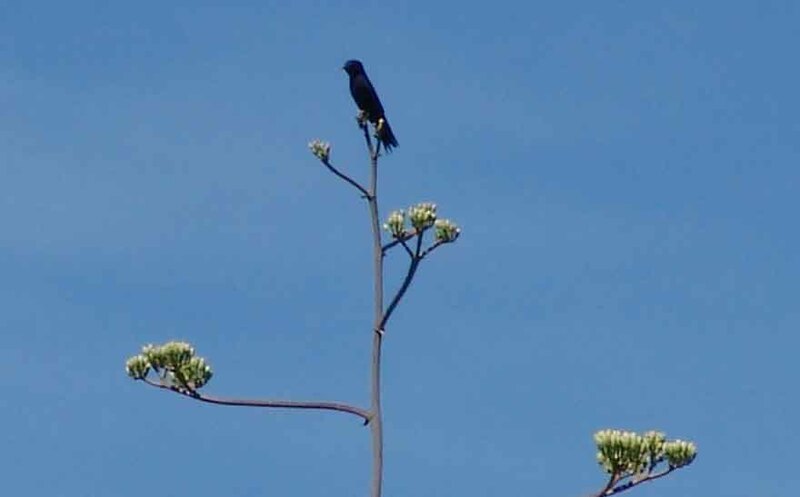 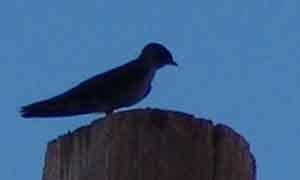 The all-black male looking out over the agave blossoms was surveying Sierra Blanca Canyon Wash in July of 2004. 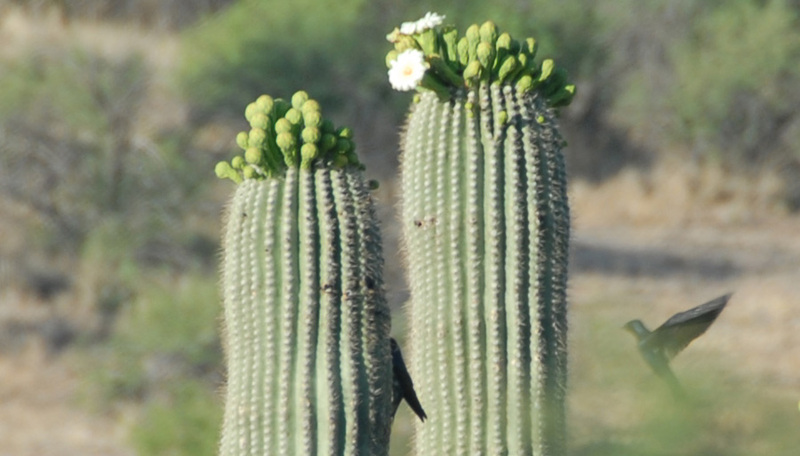 These birds, whose calls are richly melodious, are sharing this particular large saguaro with a Gila Woodpecker. 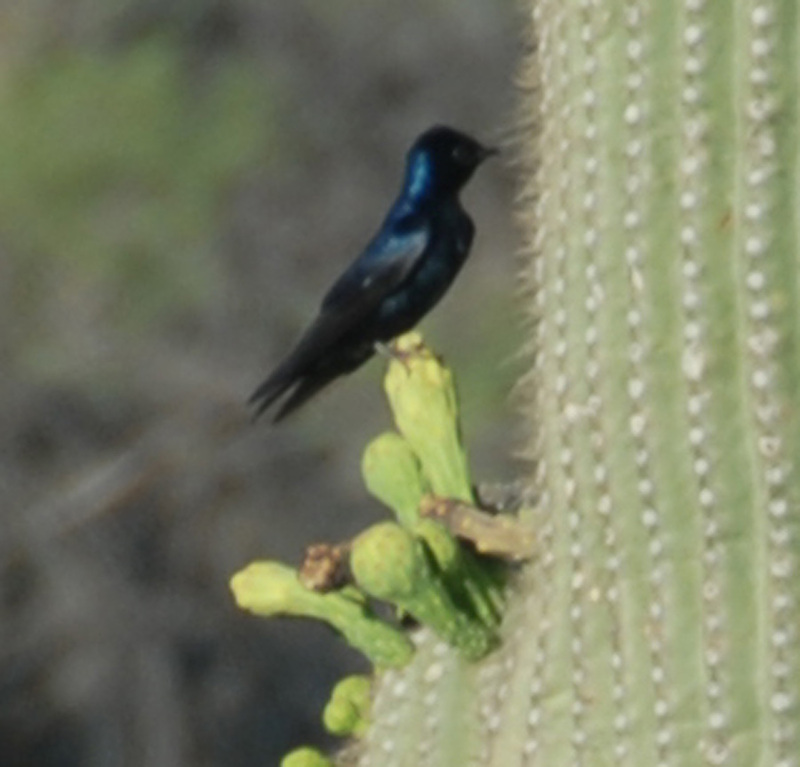 We're not sure how many birds are involved in this particular breeding group, but will keep our eyes open and try to gain an estimate.